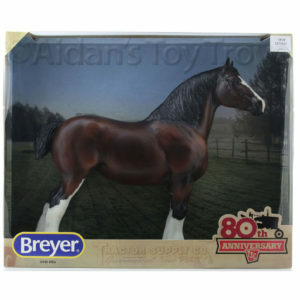 We received the Breyer Mid Year Releases while we were away at BreyerFest. 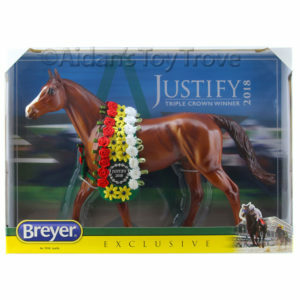 I feel like I am finally recovering from BreyerFest and here come the Breyer Fall 2016 Releases! 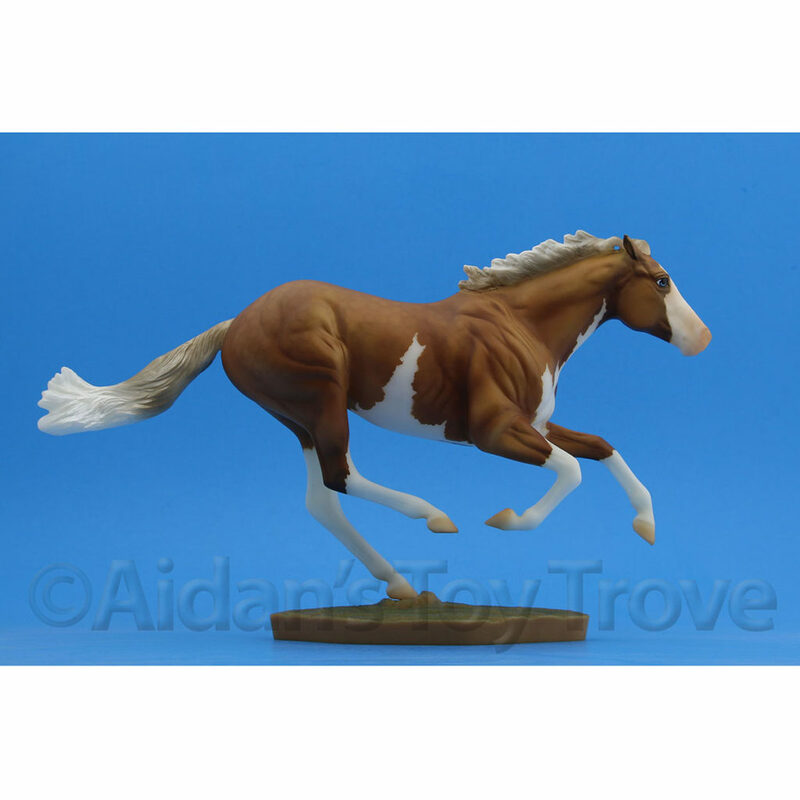 1767 Glorioso is on the Andalusian Stallion mold sculpted by Kathleen Moody in grulla. Goodness is he handsome! 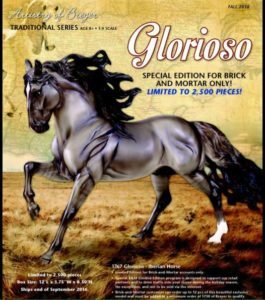 Glorioso is limited to 2,500 pieces and his expected ship date from Breyer is in September. 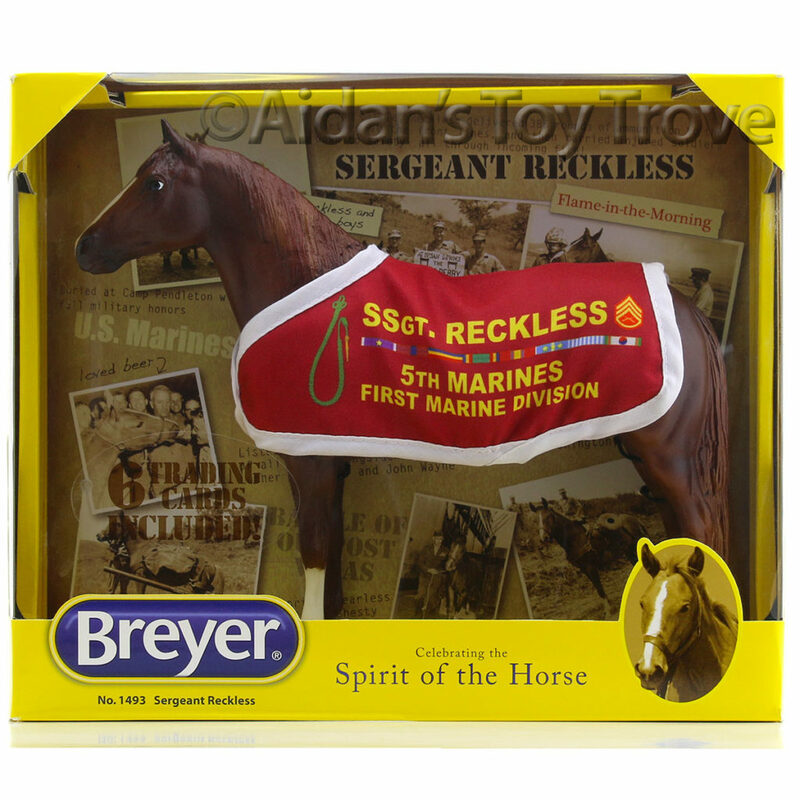 He will be available exclusively at Brick n Mortar Stores and Breyer has specified that he is not to be sold online. As such, I do not think that we will be able to acquire any Gloriosos. 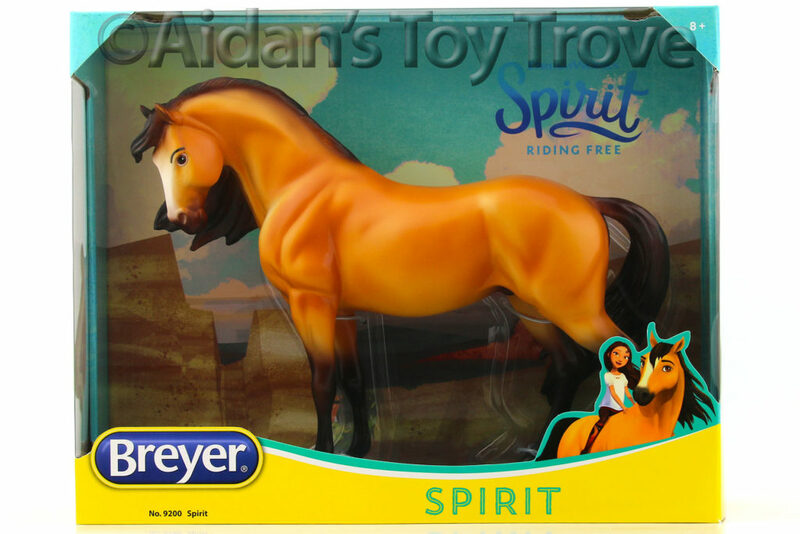 However, I will be looking to add one to my personal collection! 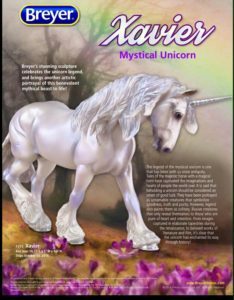 1771 Xavier is on the Wintersong mold and has been modified to a Mystical Unicorn. 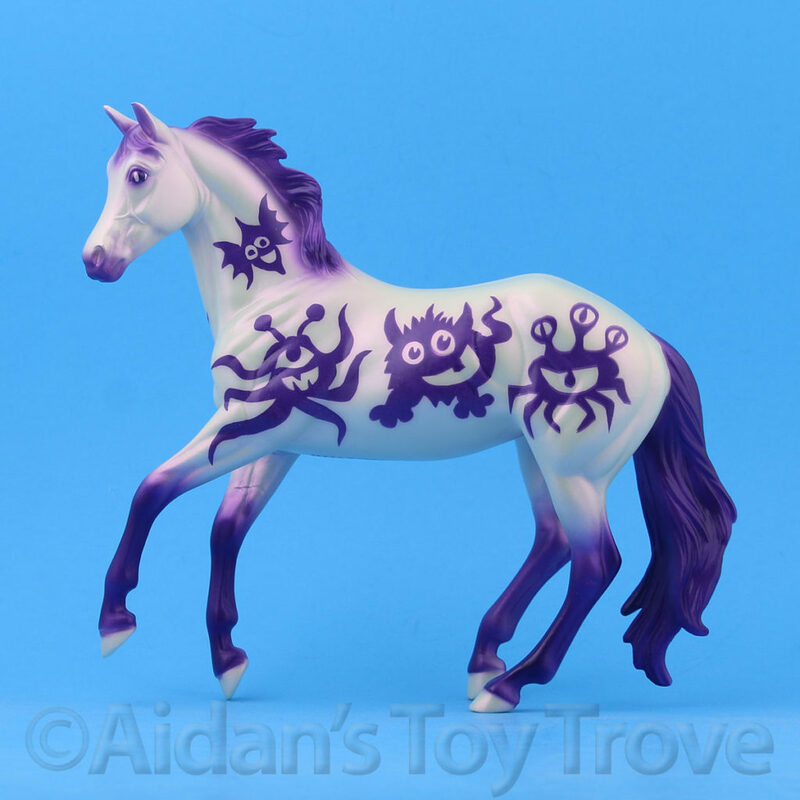 He is a pearly white color with lavendar shading. 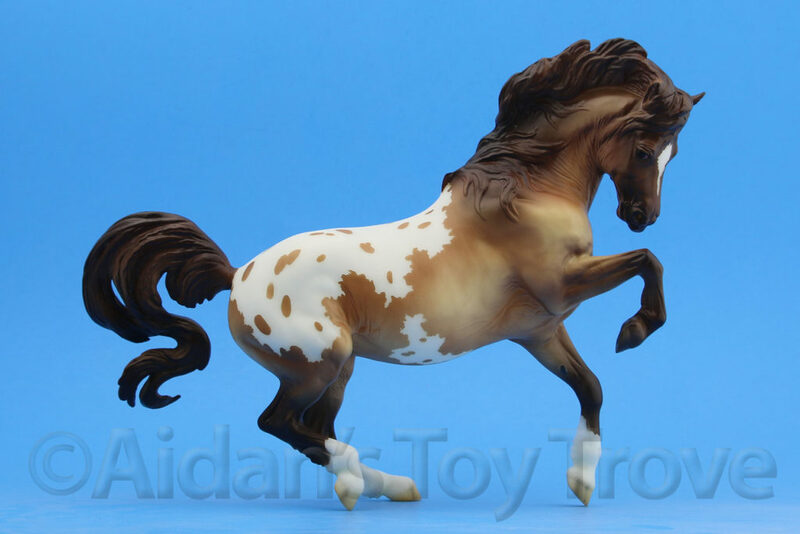 His run will be limited but I do not know the exact run size. 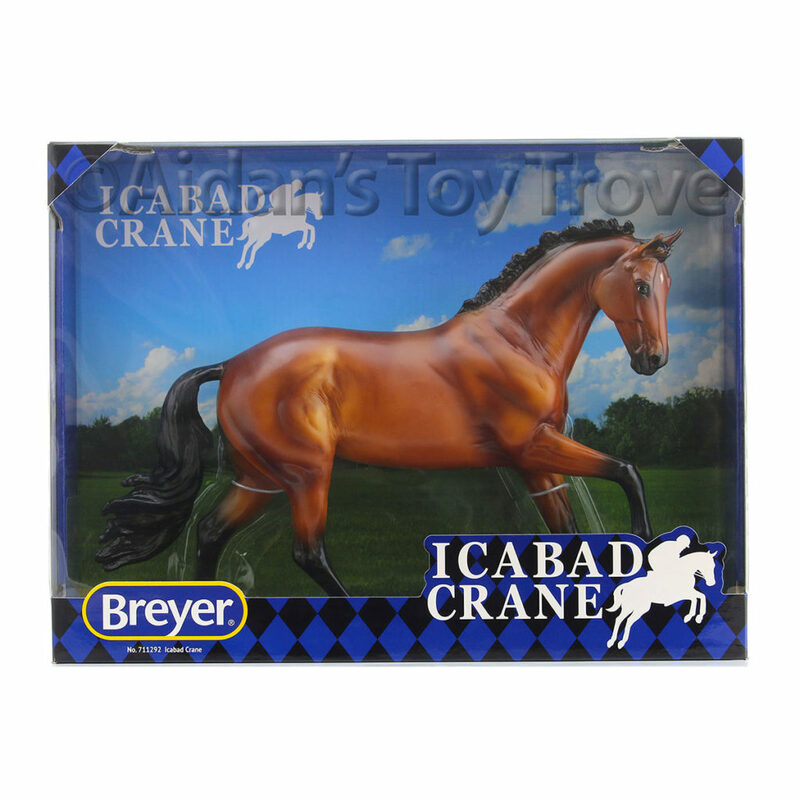 Xavier will ship from Breyer in October. 2012 Olympics and a Gold and Silver Medal at the 2016 Rio Olympics. 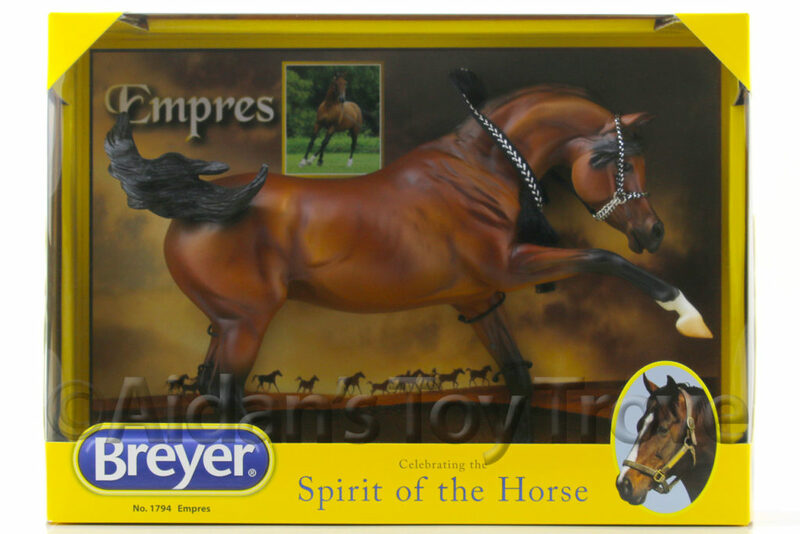 In honor of Valegro’s outstanding achievement, Breyer is making a limited edition gold Valegro. 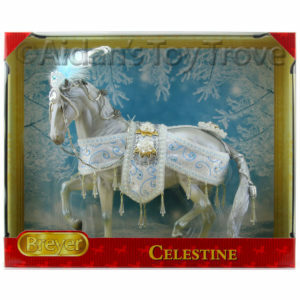 He will be limited to 3,000 pieces worldwide. 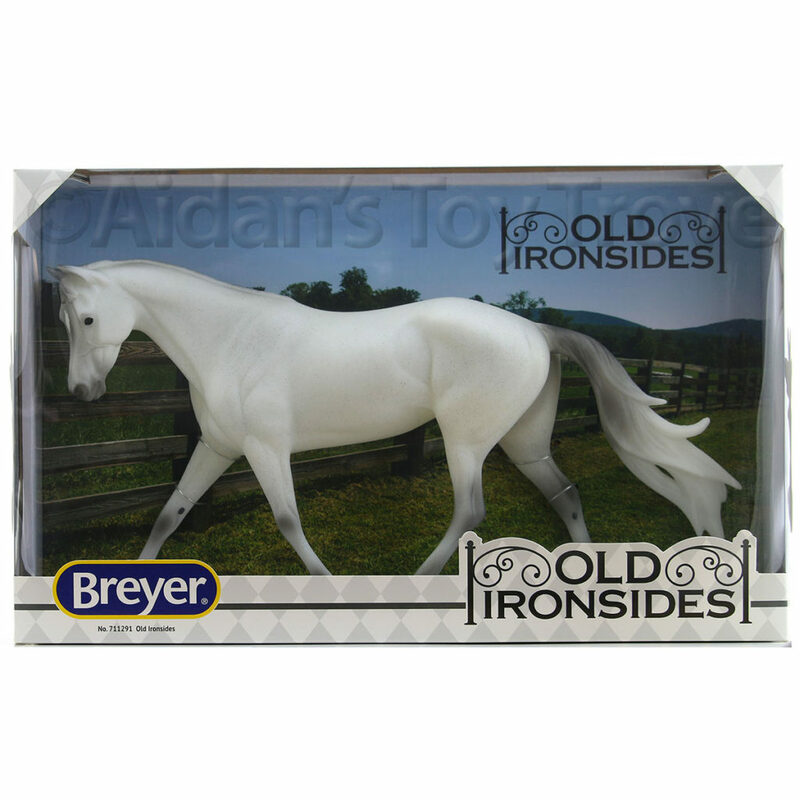 The Gold Valegro will ship from Breyer in December. 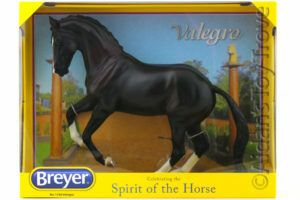 We do have a number of Breyer NIB 1756 Valegros in stock. 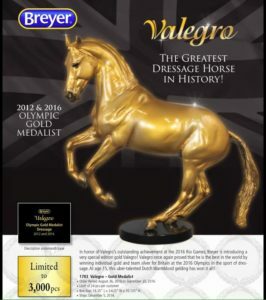 Valegro is one of the greatest horses in dressage history. 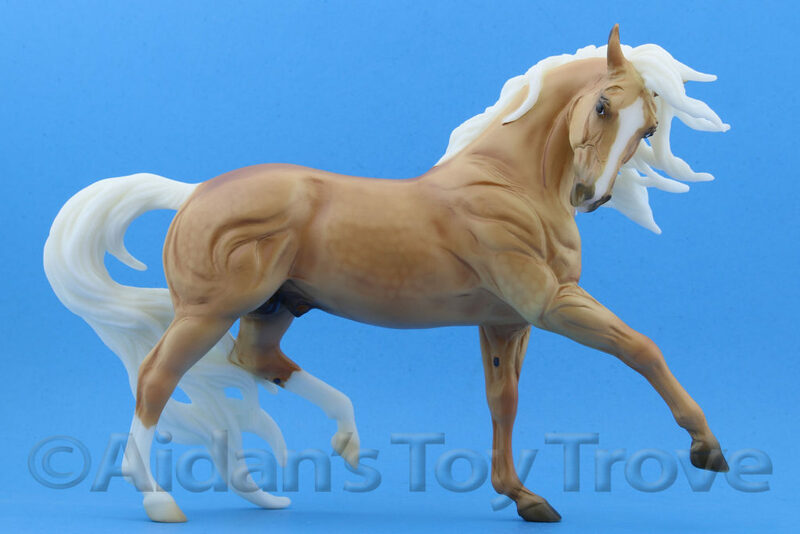 His price is postage paid and we will ship Internationally for $15 additional. 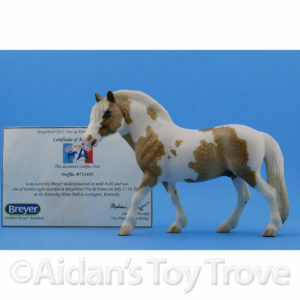 At this time, I do not know if we will be receiving either the 1771 Xavier or 1783 Gold Valegro. I have messaged our distributor to see if any of the Fall Releases will be available to us. 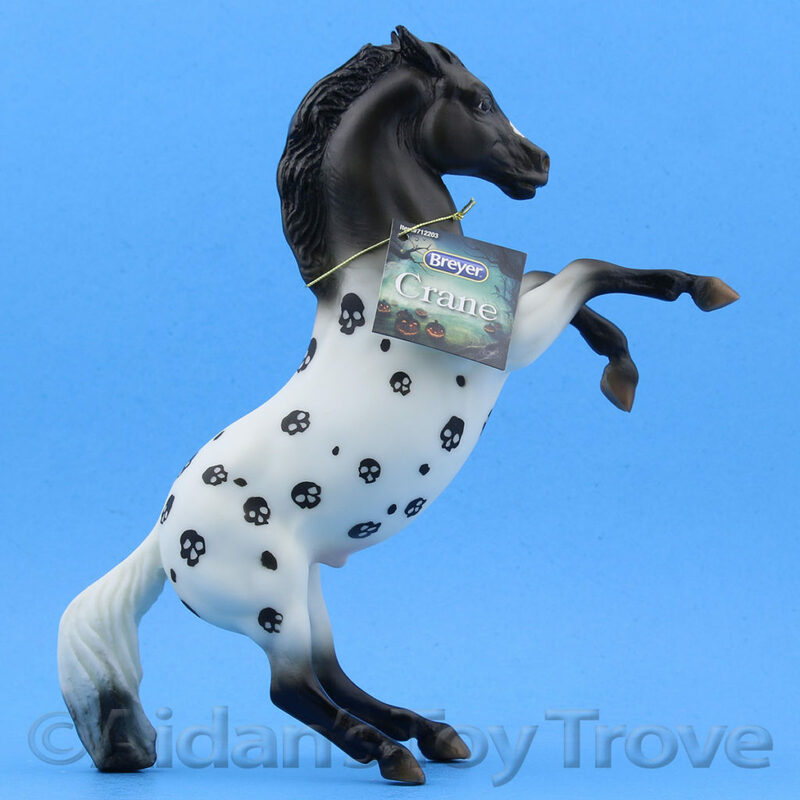 I do not think that we will be receiving any of the 1767 Glorioso. We are not taking preorders on any of the Fall Releases at this time.